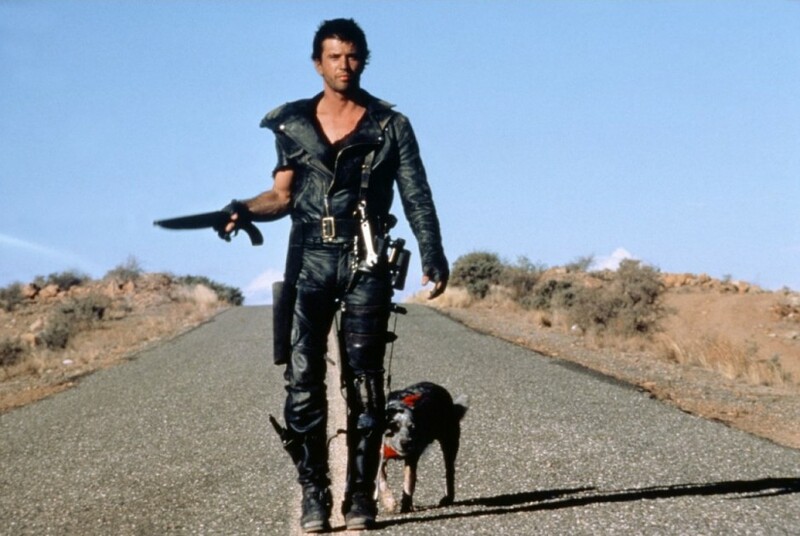 Back when no one knew Mel Gibson’s name, he made a little film with George Miller called Mad Max, that became a bit of a cult sensation, a few years after that, they paired for the sequel and gave us one of my favorite action movies of all time, and a welcome addition to the 101 Sci-Fi Movies. Set in the wastelands of Australia after a nuclear war, Max (Gibson) wanders the roads on an endless search for fuel, in a world that has squandered its natural resources but still loves its car culture. 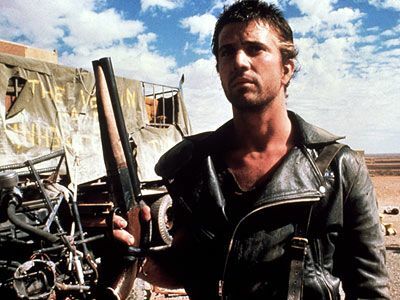 In the loosest of terms, Mad Max 2, released in North America as The Road Warrior as the first film didn’t get a lot of play, is a western, albeit set in a post-apocalypse. The hero, more or less, Max discovers a gruop of survivors manning a fuel station, pumping fuel, stockpiling it so that they can make a stab across the wastelands and make for the water, and hopefully a chance to survive. 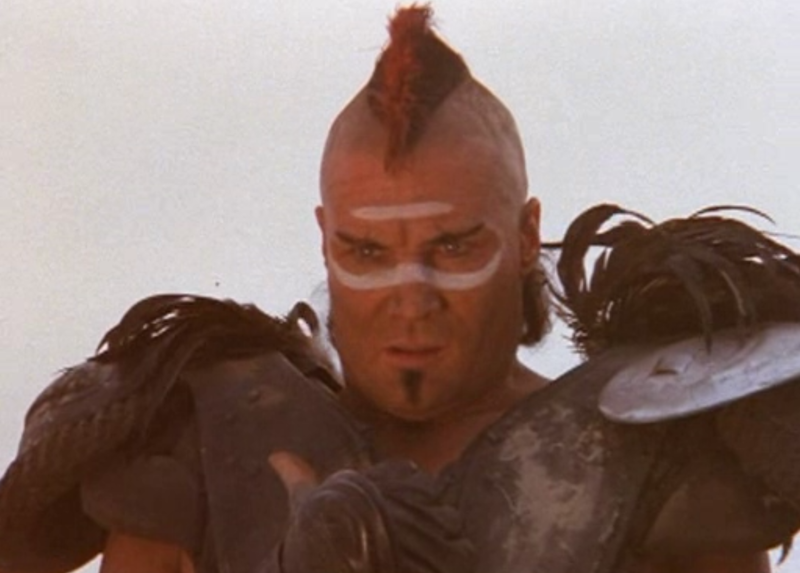 Their station is under siege by The Humungus (Kjill Nilsson)and his leather-wearing, punk-looking baddies. Max just wants to make a deal for fuel, but in the end, gives aid to the station folk and leads their race through their enemies, taking the fight to the open road in a brilliant chase/fight sequence that comprises the climax of the film. The final act is just one big stunt show, with great camerawork, brilliantly planned stunts, and fantastid editing and pacing. Of the three films that currently compromise the Mad Max series (there’s a fourth one coming, with Tom Hardy taking over the role in Mad Max: Fury Road) this is the best. Gibson is taciturn as Max, with a total of like twelve lines in the course of the entire 95 minute film, but it’s his actions not his words that make Max who he is, and he does a lot through the course of the film. He squares off against Humumgus’ lead henchman, Wez, Vernon Wells, seemingly gets adopted by The Feral Kid (Emil Minty) and forms an uneasy alliance with a Gyro Captain (Bruce Spence). Quick-eyed Farscape fans will also notice Virginia Hey as one of the station folk. The film never takes itself too seriously, instead just rocketing along at a breakneck pace, while making a loose commentary on the way we’ve wasted our resources, and hinting at where it could possibly lead us. This is one of those films that I quite like throwing on in the background, cranking the sound, and letting it just go. Gibson is fun, with his loyal dog, Dog by his side, and racing a long in the last of the V8 Interceptors (introduced as the police car of choice in the first film). Miller has made a fun, loud, post-apocalyptic thrill machine that has some of the best car stunts put to film. It’s a great ride, and I remember when I was living in Bermuda, when I would babysit for this particular family, they had a copy on Beta, that I would watch every time I was there. Previous Post Toronto After Dark – Call For Entries!! !